I am so happy to be exhibiting at this fantastic geological jewellery event which starts tomorrow at the Goldsmith's Centre in Clerkenwell, London. This gorgeous necklace on the poster is by one of my fave jewellers, Imogen Belfield! My own jewellery box has one of her little golden nuggety rings in it. Rocks, minerals, meteorites, they are all a big inspiration for me as well as the geological processes that create the world around us on a big and small scale. 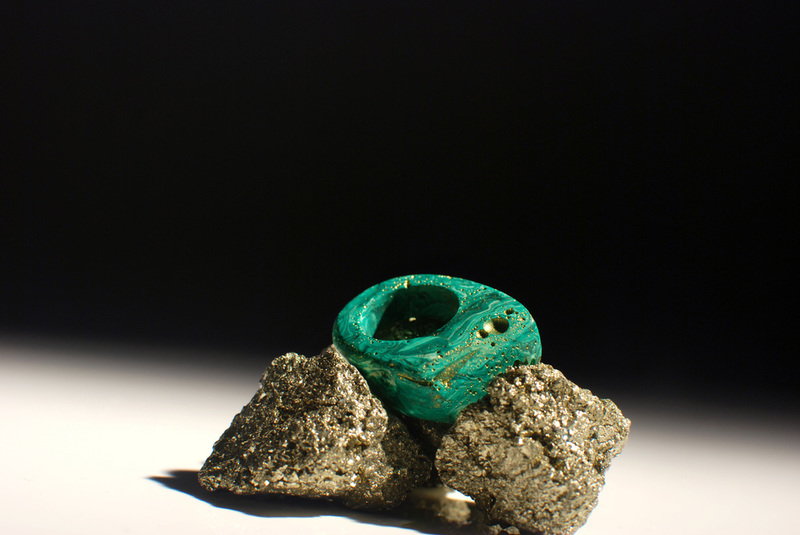 The piece I chose to show at the exhibition is my Malachite Green Hewn Ring. It combines some of the techniques I have developed in resin to evoke the naturally occurring patterns of mineral formations, as well as featuring inclusions of golden pyrite nuggets. "From 21 May we're taking part in Chelsea Fringe - a festival celebrating and encouraging us all to engage with our landscape, gardening and the natural world. As part of the Fringe we are creating our own rock garden (sponsored by Indoor Garden Design) in the atrium, surrounded by work from jewellers and goldsmiths' whose inspiration comes from geological formations. £10 in advance or £12 on the door. Supplies are available to buy at the class. This is the first of our monthly life drawing classes to be held in our Exhibition Room and will have a special Rock theme! Book through London Drawing's Website. season's must-have bling to wear! Send pictures of your creations to us on Twitter and you'll be in with a chance to win lunch in our Café. about two people who do, and then come back down to earth. Grab some lunch, sit back and enjoy. 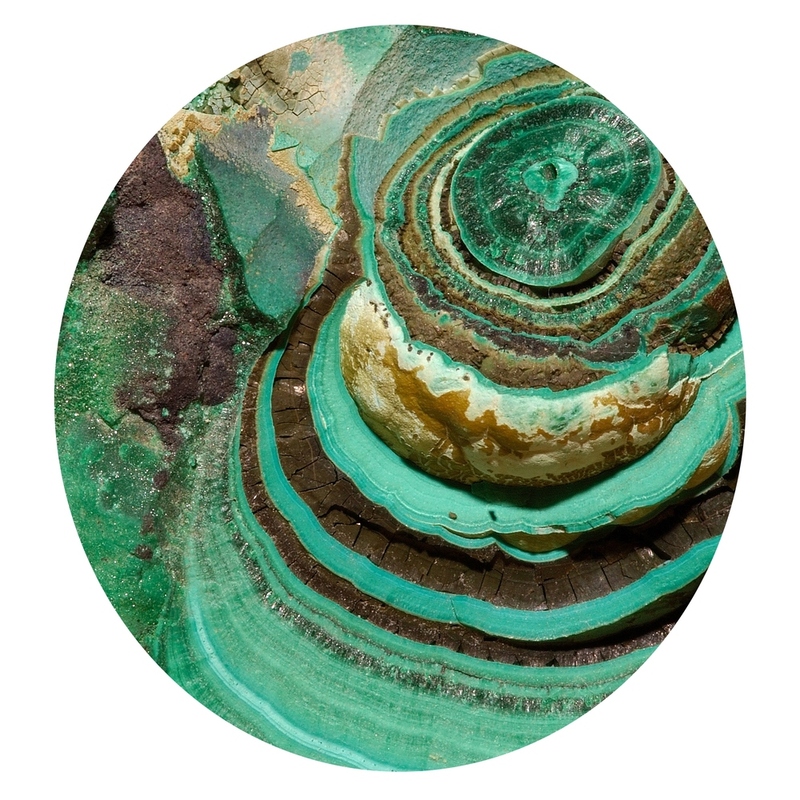 Climb into our Scratch Patch - a sandpit filled with gemstones and learn about the different types of rocks used in jewellery. Pick your favourite, see them being polished by our very own Lapidary, Steve Stavrou and create your own gem stone jewellery to take away."